We had been having a very different set of food for breakfast in Taipei. Not that I am completely unused to having rice for breakfast; it put me in mind of my younger days when Ma would fill us up with steaming, fluffy rice with a dollop of butter before we went to our respective school/colleges. But the first time that we went down for breakfast at the institute canteen, I decidedly avoided the congee they offered. Rice gruel, vegetables and egg/tofu makes for a very heavy meal, and I was surprised that Taiwanese children would swallow that without a demur. On Sunday, however we were reassured that children the world over seem to prefer bread and eggs. The place was awash that morning with couples and their youngsters. Without exception all of them sported a white bread sandwich. Bread in the form of loaves are increasingly popular in all cultures. The first evening we arrived, unsure about what was available, we had gone down to the convenience store and got ourselves a couple of buns. The ones which have a core of custard, has a shiny brown surface and goes spongy after the first bite. Most days we have had bread for breakfast since we came. And it has been mostly terrible. The day after our arrival we stumbled onto a Carrefour. I had read that they are one of the biggest supermarket chains in Taiwan. When I came to bread section, I was happy. Lots of brown crusted breads. Various kinds of shapes and all neatly labelled in plastic packets. Perhaps that itself should have warned me. In France, Carrefour's bread section is varied, decent and always carried in paper packets. I was in for a disappointment here . All the breads we looked at were so soft that they carried a dimple, once you had pressed them to check the texture. The Taiwanese obviously prefers his bread soft, but at Carrefour I didn't expect the product to undergo such a change. There are many bakeries around the city. Almost all neighbourhoods have a few. The window display is tempting though we didn't try anything. I am hopeful that these would be better. In a rush to pick up some items which could be eaten on the run, we picked up some breads from FlavorField one day. These have been the best we have eaten here. There was a open faced sandwich with cheese and bacon. Another with tuna. A strange round roll with potato, sausage and something orangey which we couldn't identify. None of the toppings were great. But tthe bread itself would pass muster. We also got a mixed grain loaf which had a satisfying crunch and chewy texture. It all reminds me that there is no substitute to making it yourself. But where does one draw the line btween convenience and making from scratch? 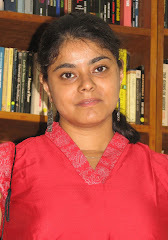 Hi Nivedita, What an interesting blog you have! I'm glad I found it. You can be sure that I'll be following your blog from now on. Do stop by mine.